Francavilla has attained millions of dollars in settlements and verdicts for his clients, including $20 million in one year alone and a case in which he attained an eight-figure settlement. He has successfully handled many serious injury cases, including tragic losses involving wrongful death, paraplegia, quadriplegia, severe burns, loss of limbs and other cases involving major orthopedic injuries. In addition, he has attained multi-million dollar results in maritime accident cases, highway design cases, automobile accident cases and premises liability cases. A highly respected trial lawyer, he is often called upon by fellow attorneys to try cases for their clients. Francavilla is a partner with Casey Gerry, where he has practiced law for 25 years, and is the lead counsel for the firm in cases that involve major highway design and automobile products liability. He has also received numerous honors throughout his career, and has been honored by the Consumer Attorneys of San Diego with the “Outstanding Trial Lawyer Award” on five occasions. He has been selected by his peers for inclusion in "Best Lawyers in America" (2008-2011), and Super Lawyers magazine has listed him as one of San Diego’s outstanding personal injury lawyers for the last five years, also naming him as one of the top 50 lawyers in San Diego. He was elected president of the Consumer Attorneys of San Diego in 2005, and is a member of the prestigious American Board of Trial Advocates (ABOTA), an organization comprised of the country’s leading plaintiff and defense trial counsel. 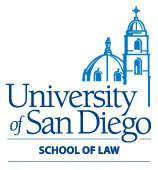 A former tort law editor of the Consumer Attorneys of San Diego's publication, Trial Bar News, and frequent lecturer to the trial bar, he has also served as an instructor at the San Diego Inn of Court's College of Advocacy and as an arbitrator by appointment of the San Diego Superior Court. Additionally, he is a frequent lecturer for trial attorneys’ continuing education, both in California and nationally. Consumer Attorneys of San Diego (Board of Governors, Past President), American Board of Trial Advocates. 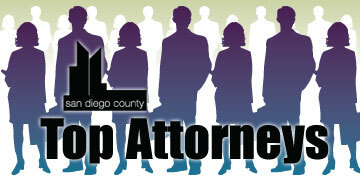 American Association for Justice, San Diego County Bar Association. Personal Background In his free time between trials, Francavilla enjoys spending time with his wife Carla and their two young sons. He also enjoys running, weight training and golf.